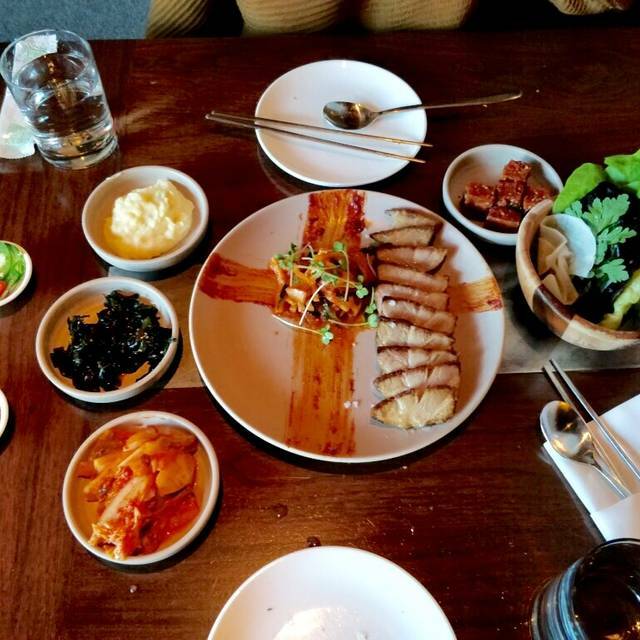 2nd Ave & King St.
Girin is a modern expression of classical Korean cuisine, located in the blooming Pioneer Square restaurant corridor. 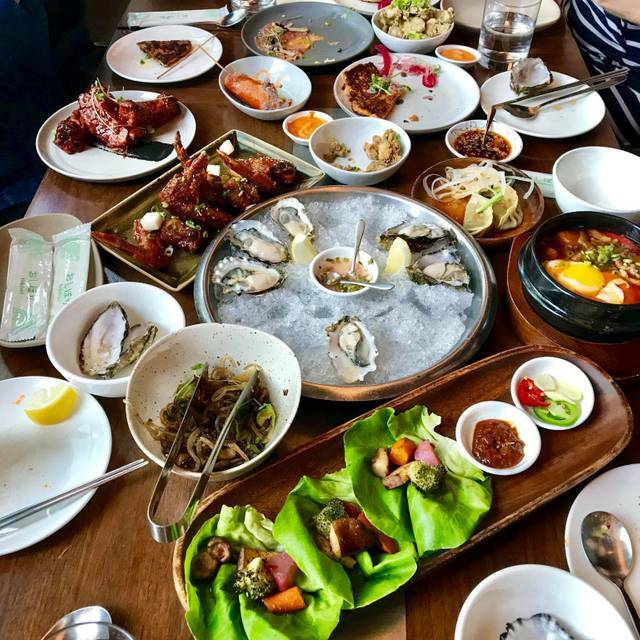 Our chefs apply contemporary cooking techniques to traditional dishes presenting an elevated yet authentic Korean culinary experience. 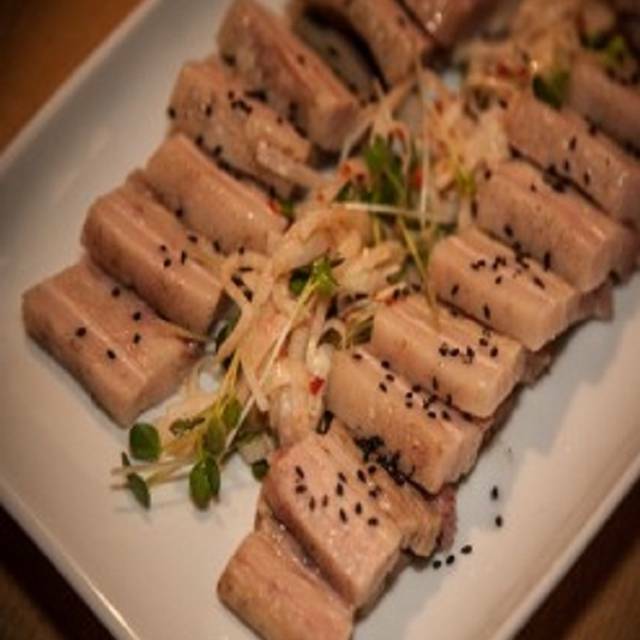 We feature quality meats served ssam-style, house-made noodles and dumplings, and home-brewed makgeolli in a beautifully designed interior space, all within a stone's throw of Century Link stadium. Great food and great value. Nice ambiance as well and beautiful decor for the restaurant. 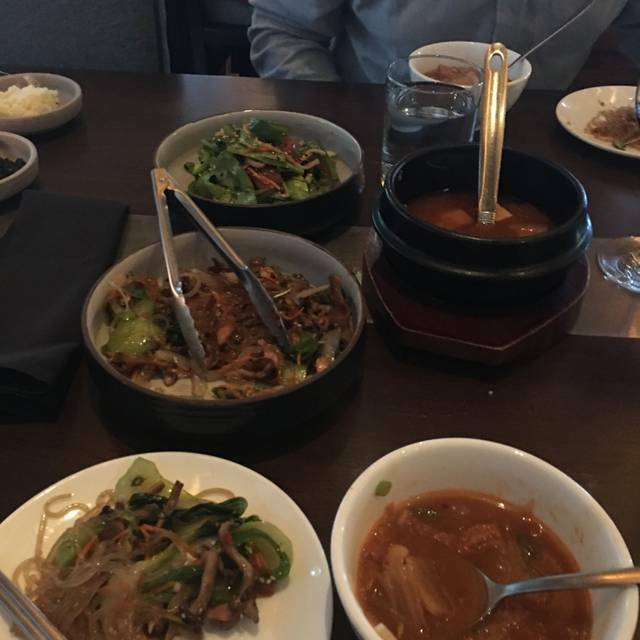 We went for restaurant week and the pork belly and beef ssam were incredible. The starters were great too, beef carpaccio, and rice dumplings with mushrooms both outstanding. Try the traditional Korean drink, they call it a liquor but it’s smooth like an unfiltered rice wine. Fantastic service who was very knowledgeable. Be sure to try the Mocgoelli! Location, location, location...That's about all this place has to offer-right up the street from the stadium. Made a reservation for a birthday celebration at 6:30pm on the same night as a Sounders game. We got to enjoy the speed menu which is pretty heavily truncated to expedite orders and get peeps to the game-except I wasn't going to the game. Narrow menu offered little, what was on there was not very good. This place is Faux Korean for peeps who don't like or don't know what Korean food actually tastes like. Our server was GREAT-event threw in a free plate of japchae when I commented on the speed menu. Unfortunately, the japchae was soggy and too sweet, but I appreciated the effort. Since it was a birthday dinner, we did get an unsolicited dessert, which then showed up on the bill. THAT was weird-don't restaurants usually provide this as a complimentary service? Best advise-try another spot. This restaurant lived up to its high rating. The food was delicious and exciting. We had the small chef's tasting menu. All of it tasted freshly made. Inventive - or new to me - flavors. Standout was the pork belly served with thin radish discs to wrap it up. Very generous portions - it was a lot of food. We were there on a quiet night and the food came fast - a little too fast. It felt rushed. Service was good except it would have been nice to have had the server slow down the pace of the dishes. Nice, hip ambiance. Excellent food and service, as always. Would definitely recommend. Good food. Good service. Was a little noisy. The music being played did not fit the atmosphere. Amazing food/drinks/ and service. One of the best happy hours in Seattle. Everything was great! Being close to the door was a bit cold, but the staff & food was great! We love their home brewed drink. I can't remember what it is called but it is great. This is always our favorite pre-game place to eat. The game day menu was pretty restrictive for our vegetarian folks, and the veg option was really overpriced: $22 for a plate of sauteed veggies. Otherwise, everyone else really liked their food and the service was great. Great food, wonderful flavors. The wait staff was very friendly and helpful explaining the dinner options. The stainless steel chopsticks were a nice touch as well. I highly recommend this place. We ate at Girin prior to a Sounders match, to celebrate my sister-in-law's 30th birthday. Although we have some "picky" eaters in our family, everyone found something they enjoyed, even with the limited game day menu. Service was quick, polite, and friendly. The dining room is beautiful, the seats are very comfortable. Girin was very good about communicating with us regarding our reservation (reminders, plus a heads-up about the game day menu and parking). I will definitely return to Girin! Subpar service. The food was ok but always cold when it reached the table. Definitely not up to par with the prices. Food and ambiance were great. Service was a bit awkward during the dinner but good overall. What really negatively impacted my experience was how our leftovers were packed- a full plate of sticky runny sauce was dumped into this tiny paper container without a secured lid, placed in a paper bag, without our awareness. It of course spilled in the car as we drove through the ups and downs of Seattle roads. Took me hours to clean the car afterwards. A hidden gem. Great food, great ambiance, great happy hour, great service. Only thing I’d say is the cocktails could use some work. The taste of the bourbon mint drink was good but all the sugar just sat at the bottom and that part wasn’t appealing. The flam drink was ehh, mix didn’t taste great. But still 5 stars only left drink review for them to improve. Our server was fantastic. Knew the menu very well and was deftly and professionally able to help with some decisions based on some odd dietary restrictions. The picked and fermented vegetables were outstanding. I'll be coming back! Absolutely excellent food, customer service and overall event. We had a team of 100 for a buyout dinner and everyone RAVED about the whole experience. I highly recommend June and her team for all business events! My marinated beef was low quality. Tough, had to cut very very small slices to chew. Beer at 8.00 a glass too high. $6.00 is reasonable. Appetizer ribs super good. Everything we ordered was delicious, and our sever Cee was great. Girin was fine but nothing special. Our Ssam was good but the chicken wings and the kimchi stew were just decent. The cocktails were nice and we enjoyed the barley custard. The ambiance was nice for a special night out but the food wasn’t quite worth the price. Underwhelmed when I first glanced through the menu. Lack of volume of sheer items to order from is easily trounced by the goodness and special individuality of each plate. Get the wings and most assuredly the dumplings. The food was great. I recommend the chicken wings. Food was great. Servers were nice but trying hard to hurry the meal and turnover the table more than most places I dine at. The menu says something to the affect of ‘happy to accommodate allergies, accordingly’. I can attest that this was far far from reality. They were, in fact, in no way able to accommodate my wife’s sesame allergy. 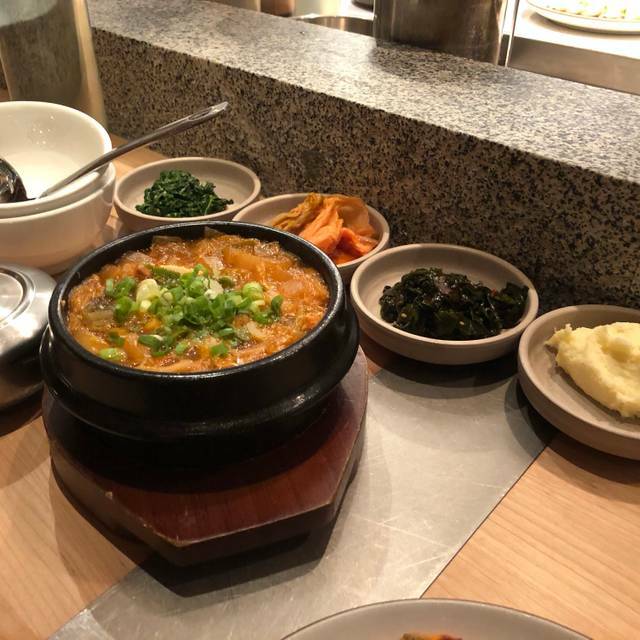 My wife and I had been curious about Korean food for a bit and had not eaten at a Korean restaurant before going to Girin. Our waiter was outstanding and our service was impeccable. We were seated immediately and liked the environment of the restaurant. We started with an appetizer that had mushrooms and pea shoots but the sauce was a bit sweet for our taste. My wife had a steak and I had the kalbi ribs both in the style that came with a lettuce wrap. The proteins were cooked just fine but they were impossible to differentiate between them. They had a non offensive flavor but a sameness that could only be altered by changing up the spices and veggies that came with them. There was nothing wrong with the dinner but there was also nothing memorable other than Justin our waiter. We've been to Girin 3 times. First time, about a year and a half ago, it was great. Second time was a game day and disappointing due to limited menu and what seemed to be a number of pre-cooked dishes and harried waitstaff. This time was the last time. We know other Korean restaurants with great food where our business is appreciated. Delicious food, outstanding service. The Happy Hour offerings made dinner a good value. I take the train frequently and sometimes have time for a meal before I leave. This is around the corner from the station--it is wonderful. 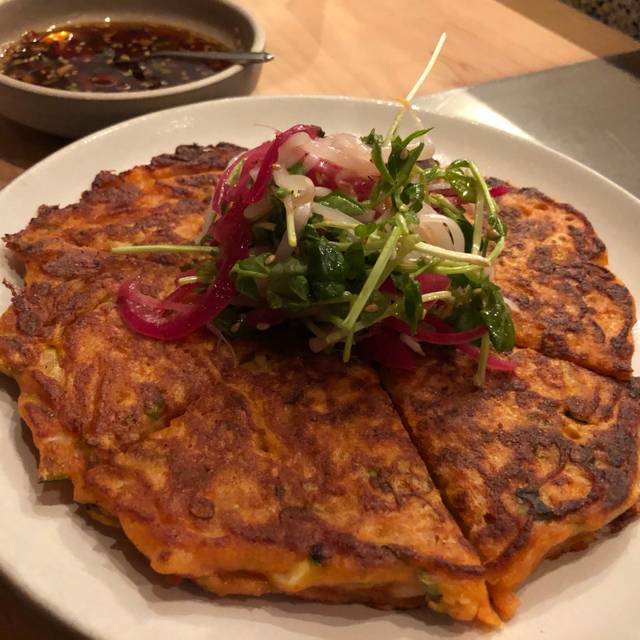 I was there early so had the kimchi pancake (on the happy hour menu) and the spicy squid and rice cake dish. The spice was not too hot and had a lot of flavor. I sat by myself at the counter and the service was great. I will always go here for a meal before the train but I am also going to take the train up from Olympia with a friend just to eat here. They have a chef's tasting menu that sounds irresistible. It was a good dinner for our anniversary! Food and service were outstanding! We will definitely visit again. Food great, servers very knowledgeable but service was spotty and slow. Outstanding, true-to-country Korean cuisine. I literally felt like I was eating in my favorite Barbecue in Kangnam. An excellent choice for Restaurant Week! Great options, fast service, and delicious food. I’ve been here for Happy Hour a few times too. One of my favorites. I am not sure what has happened but Girin has fallen. 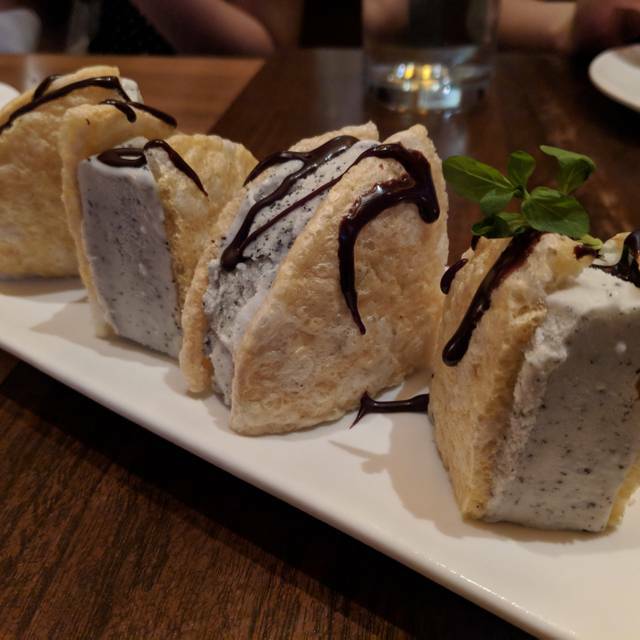 The service was especially poor with almost out-of-control serving of food and insane pressure to finish quickly (even though the restaurant was not that busy. The server literally picked up the half-eaten plate in front of me while I was eating. The food is fabulous, but I would definitely go during happy hour for value, and on Mondays for the best this place has to offer. 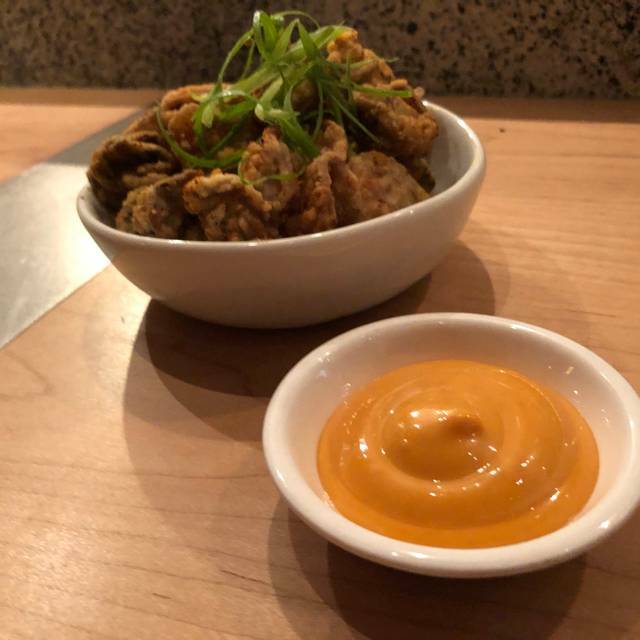 They have absolutely wonderful Korean fried chicken, but it's only available on Mondays, so know before you go. Because I fly to Korea often, this place is no way spicy if you are looking for heat. They blended their flavors with east meets west. Although if you wanted spice on the side it can be given. Menu is limited. Some of the portions are small. 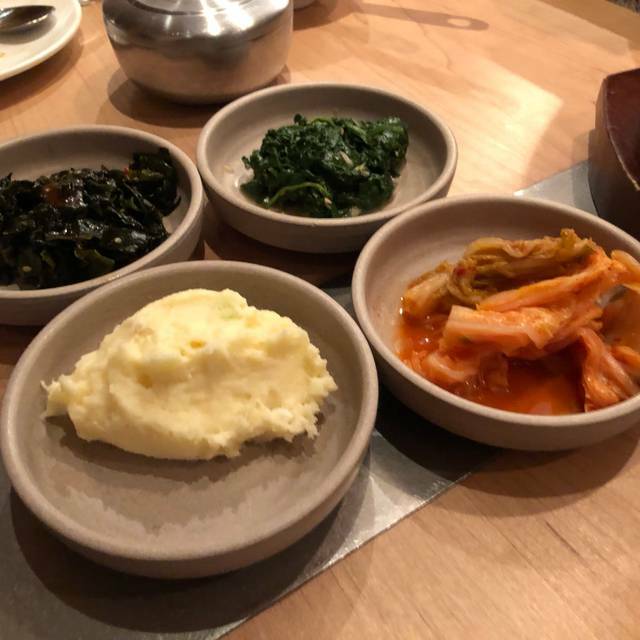 Side dishes could be vamped up a notch ( kimchee, etc.) Overall all the food was pretty good as well as the flavors. I would go back after a football game at the Stadium. Easy find on google. Great location, food & atmosphere. Waiters very attentive, went there after a Seahawk game to celebrate a Birthday. The cocktail was tasty but mostly ice and fruit, for 12 dollars it didn’t seem to have much alcohol. Once the space fills up it gets loud and the ambience changes quite a bit.